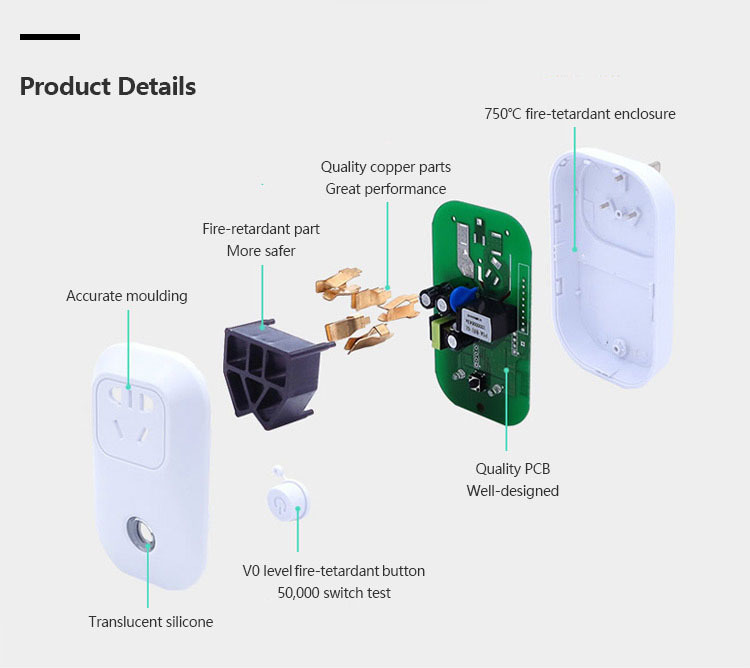 WiFi socket outlet Sonoff S20, operating at 90-250VAC and maximum power 2200W. Universal usage at home or office. Not included is the WiFi module (router) that is sold separately.